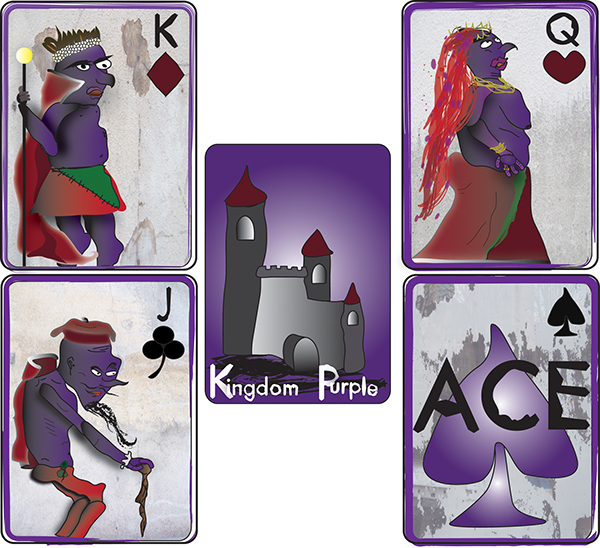 The project was to design a cohesive set of cards with a King, Queen, Jack, and Ace. The middle image is the back of each card. These cards show the mythical kingdom Purple and the royalty that belong to it. Each one tells a character story.